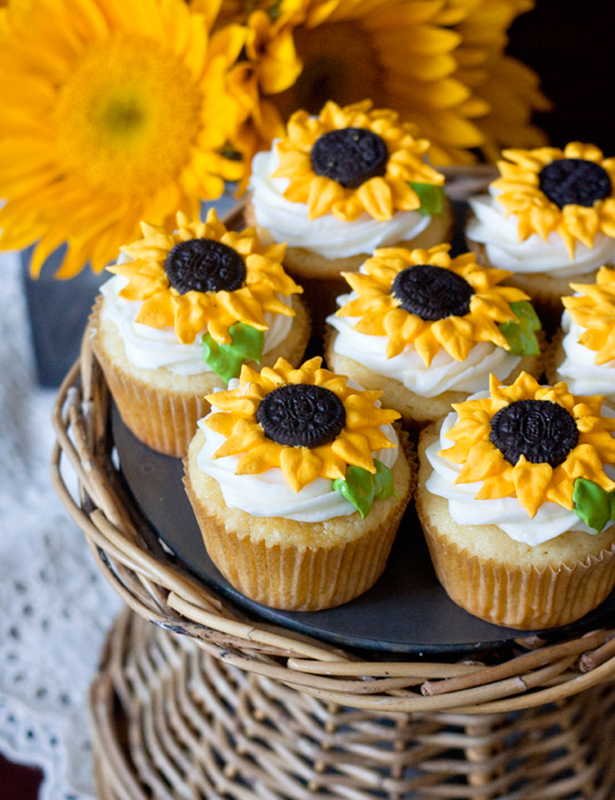 These cheerful sunflower cupcakes just make me smile! Especially because the cupcakes are lemon flavor – yum. The homemade cupcakes are simply but beautifully decorated using royal icing and mini Oreo cookies. (Using mini Oreos instead of full size is a great idea, since a mini cookie doesn’t cover the entire cupcake top.) I can see these little beauties being served at a country-western party, a garden party, on Mother’s Day, or at any sunny, summery get-together! Get the recipe for lemon sunflower cupcakes over at Sweet Tooth. Reposted with permission from Erica at Sweet Tooth.